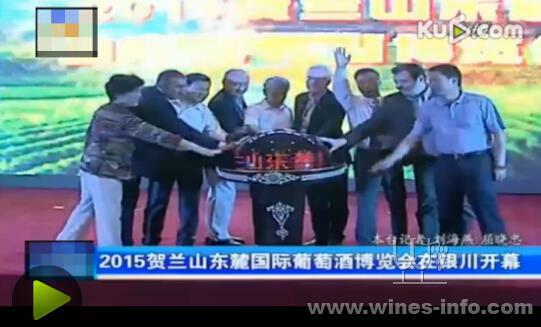 Helan Mountain East International Wine Exposition 2015 took place yesterday in Yinchuan, Ningxia. Officials from the autonomous region and other dignitaries attended the opening ceremony, with Ronald Brown, organizer of the China Wine Challenge and Wang Qi, vice director of China Alcohol Drinks Association, opened the exposition. In his speech, He Linhai, deputy secretary of Party committee of Ningxia and director of Administrative Committee of Helan Mountain East Wine Industry, congratulated the fact that the expo had held four times as an important part of the China-Arabic Countries Exposition. He encouraged guests from both abroad and home to utilize this platform to purchase mutual development and pragmatic cooperation while enjoying the fine wines from Helan Mountain, and to bolster a healthy and rapid growth for China’s and World’s wine industry. He also urged local wine companies and professionals to seize this opportunity to strengthen their communication with academics, exhibitors and distributors, and to bring in advanced ideas, technology, equipment and talents in the efforts of improve Helan Mountain East’s general capacity. In doing so, more Ningxia wine will be pushed into outside markets.